Fuss is doing pre-writing exercises now. 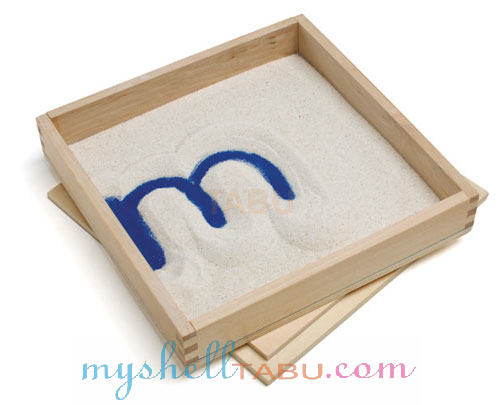 She writes in a sand tray with her fingers, but she’s also tracing slanted lines and circles on paper. 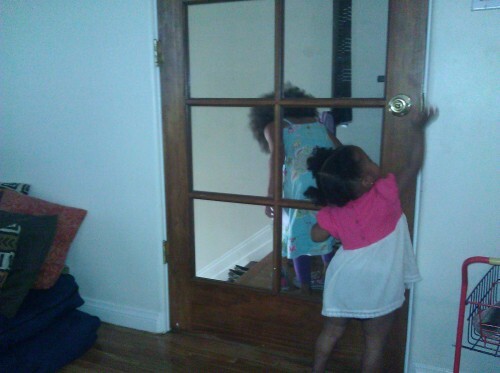 This is the part of her toddler-hood where she tries desperately to do what her sister does. Meanwhile, her sister is trying to master typing. Oh, I totally forgot to write what Mooch is doing this summer! She’s taking swimming, Spanish, and musical theatre. It should be fun. The little one may either revisit gymnastics or do the summer program at a local art center. We’ll see. Fuss is Beyonce’s biggest fan. Here is a video summary of her summer. Mooch went camping this weekend and wants to tell you all about it. If you sneeze, Fuss will say, “Bless you.” If you hand her something, she responds by saying, “Thank you.” It’s “More please” when she’s ready for the next bite and “You’re welcome” when she’s been generous. My little one has manners! Fuss is truly taking in the world around her and she’s not leaving out the social aspects. Once she fully woke up from her Sunday nap, Fuss was excited to meet her grandmother for the first time. She’s visiting from Milwaukee this week and even brought along Hannibal’s brother Chazz. We videotaped her saying “uncle” since she repeated it for nearly fifteen minutes. After eating Chinese take out, we went out for cake. It was Chazz’s birthday, but he ended up not eating any. Go figure. At the bakery/cafe, Fuss went on a walk with her “Grand,” because she wasn’t able to sit still in the restaurant. The two of them admired flowers on Beverly Boulevard while we enjoyed our sugary treats. We had a family photo shoot on Monday at the park, and everyone had a chance to pose both individually and collectively. Then I went to teach at UCLA while Hannibal tried to convince his mom to try healthy eating at Simply Wholesome. Oh, the irony. She’s in town until Saturday, when she’ll watch Mooch’s double dutch competition and Caribbean class. If the weather permits, we’ll hopefully have another day at the park or beach.